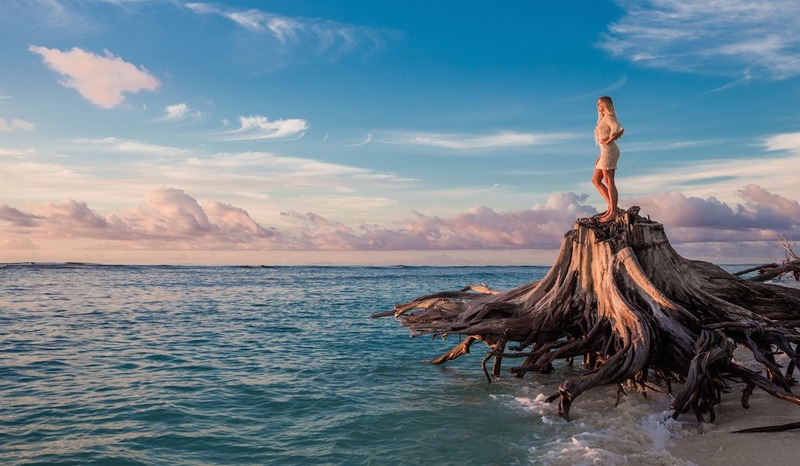 Bird Island is a coral cay of 101 hectares surrounded by five kilometers of beach and is the most northerly island of the Seychelles archipelago, situated 100 kilometers north of the capital Mahé. At the aptly named Sooty Tern Point. 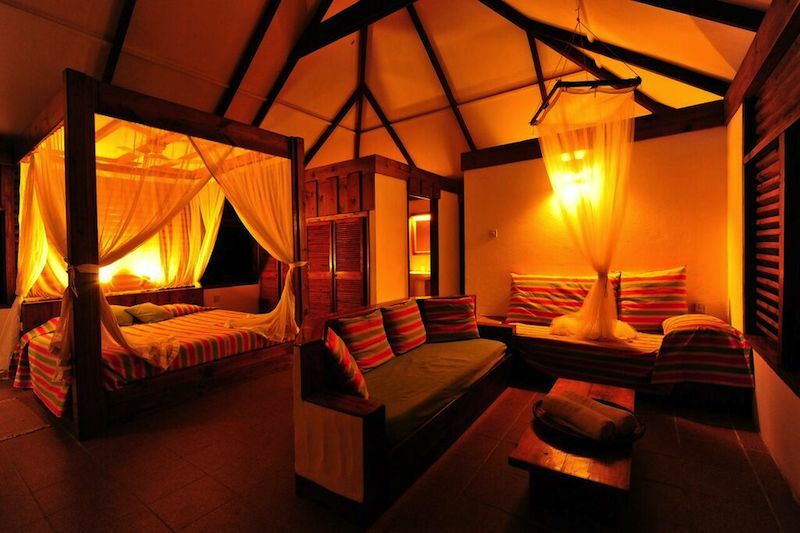 Bird Island Lodge, opened in 1973 by Guy Savy and his wife Marie-France, is the island’s only ‘hotel’ (24 individual, comfortable chalets) and prides itself on not being obsessed with rating five stars. 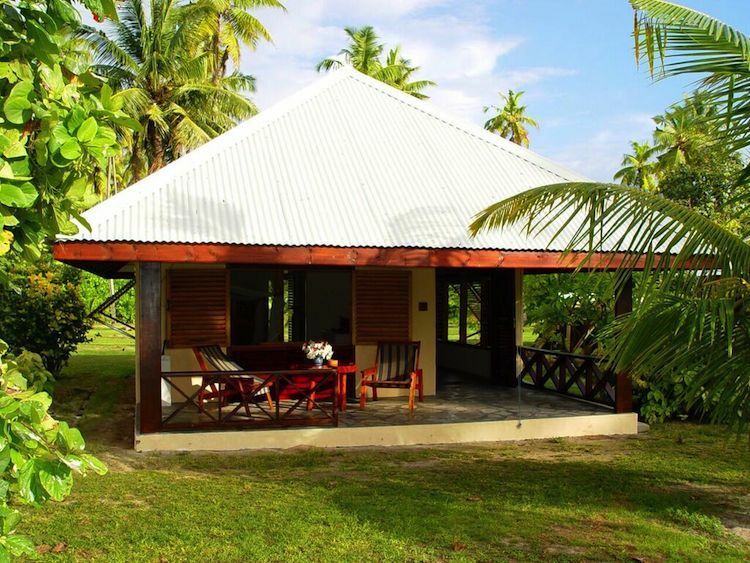 Each chalet has a king-size bed, large shower room and separate toilet, lounge corner and spacious patio overlooking the gardens to the sea. 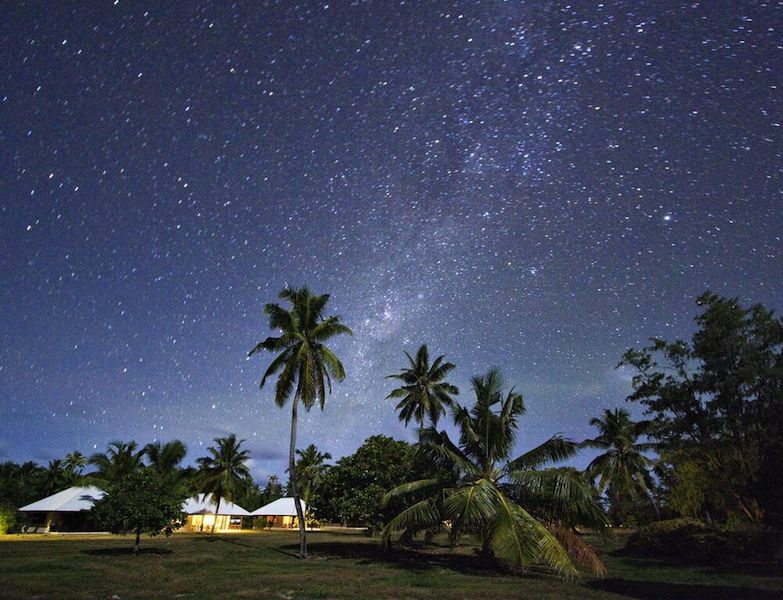 Apart from guests and staff, there are no other human inhabitants. 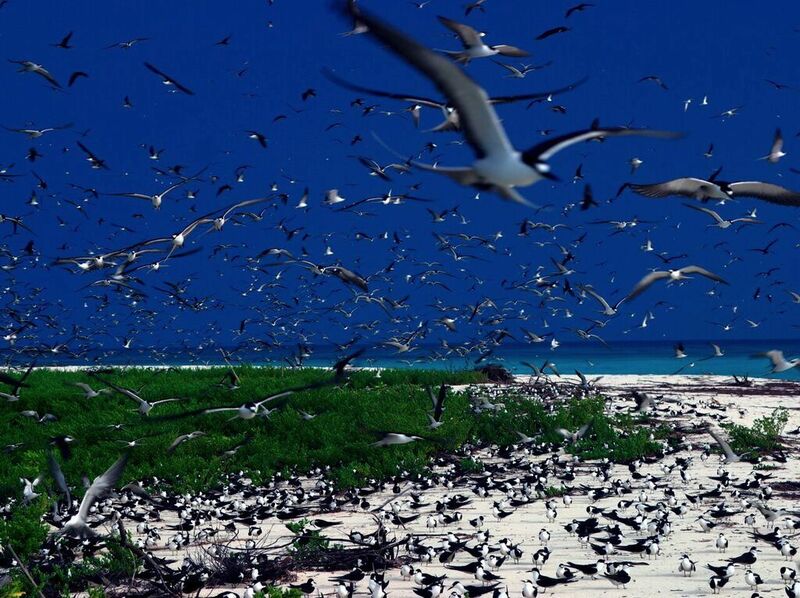 Bird Island is arguably one of the best conservation areas in the world – certainly one of the earliest – and today the birds are not even scared of humans. With the eradication of everything foreign, including rats, rabbits, and all alien plantlife, the sooty tern breeding area has increased from 18,000 pairs in the 1960s to over a million pairstoday, making it one of the largest colonies in the world. 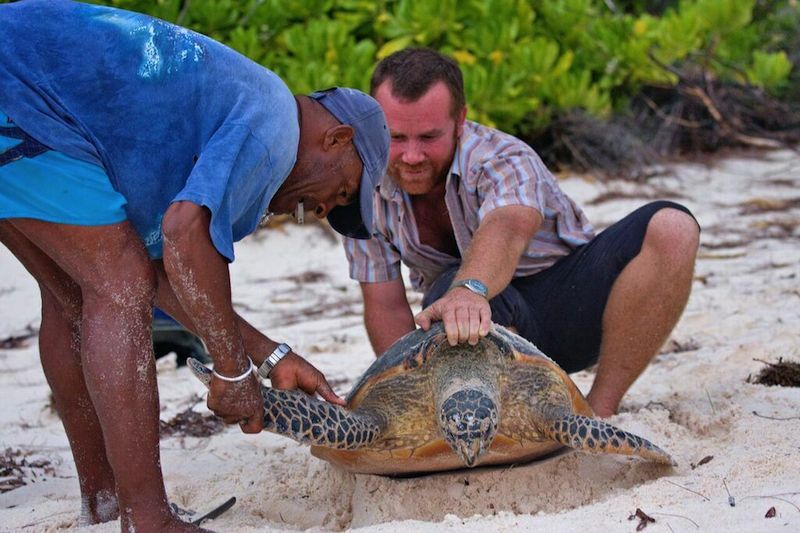 The cessation of turtle harvesting on the island has led to healthy populations of Green and Hawksbill turtles and is part of a larger turtle-monitoring program in the Seychelles (as are its bird-monitoring programs). In 2002-3, Hawksbill Turtles made over 150 nests and about 20,000 baby turtles made it to the sea. Tagging turtles on the island. Ground-nesting birds are so comfortable here that many species of noddy and other tropical birds have returned in huge numbers since the Savy family moved here in 1967. The island has actively supported research of aspects of its bird and plant life. Bird Island has also set up a weather station providing regular information to the Seychelles meteorological office. Upon arrival, guests are immediately given a talk about the island and told to take everything they brought with them when they leave, including any trash they have made. The island has a dedicated conservation officer, who also encourages visitors to get involved. Next articleA Traveler Abroad – Where Am I?